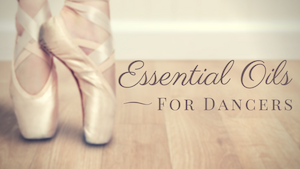 The history of dance is far from dull and including dance history in your classes doesn’t have to be either. When we think of learning about history, most people see lectures, thick books, and discussions about plenty of dead people. There are ways to incorporate information about the traditions of dance and the people who shaped them while relating it to the material that students may find more exciting. Last month I provided a list of ten ways to move beyond steps, making dances that venture outside the norm of assembling favorite movement to popular songs. This enriched way of working leads to many possibilities for students to become aware of their dance heritage and the methods dance icons have used for creating dance. Concert Dance, to me, is determined by process – the ways movement is inspired, how it is developed, edited, and finally presented. The style of dance is irrelevant in many respects; it is all about the intent and the journey, which lead to the product. A: For a single artist’s view, I have chosen modern dance heavy-weight Merce Cunningham whose development of his own technique, innovative ways for crafting dances, and pushing the boundaries in dance technology provide ample opportunity to explore many aspects of dance. B: If you are more interested in covering a variety of artists, here is a sampler of artists that have made interesting decisions during the work they’ve created. Find content with enough depth that it can be explored from multiple angles, voices, and perspectives. George Balanchine, founder of New York City Ballet: Balanchine’s choreography is known for its visual relationship to the musical score. Balanchine’s early work included direct narratives (Prodigal Son, The Nutcracker), his later work revolved around identifiable themes without demonstrating a clear plot (Agon, Serenade). In this sense, Balanchine offers three different ways in which content can be explored. Which style of dance best suits the idea or concept you are presenting? Merce Cunningham: Modern Dance choreographer whose movement relates well to other types of dancers. This example allows for the discussion of how technical concepts are experienced differently or similarly based on styles of dance. Example: Cunningham’s use of spine, port de bras, and weight shift can be compared similarly to classical ballet and yet very differently to other types of modern dance such as release technique. Twyla Tharp, versatile choreographer with major works in post-modern (Eight Jelly Rolls, The Fugue), contemporary ballet (When Push Comes to Shove, Sinatra Suite), and musical theatre “jazz” (Hair, Movin’ Out). If any choreographer epitomizes versatility, it is Twyla Tharp. Working from a strong personal point of view, Tharp relies heavily on technique and the fundamentals of movement and thus can easily relate to many kinds of dancers and audiences. Is the idea behind the piece best represented by technical movement, gestural movement, or a combination? Merce Cunningham: Again, creating within an established movement vocabulary, Cunningham explored possibilities physically first but later in his career used a computer program, Dance Forms, to inspire new movement threads before teaching them to his dancers. Bill T. Jones: a self-proclaimed liberal artist. This is a choreographer who masterfully ebbs and flows between codified and gestural movement based on what the piece needs. Please note, when looking for video samples be sure to preview before watching with students. His work takes on many topics and some are more suitable for high-school aged dancers and older. In jazz, Bob Fosse offers a rich example of stylized movement vocabulary that allows each piece to look different while still reflective of the Fosse trademark swag. Dances don’t have to be choreographed from beginning to end. Try creating large movement phrases that can be ordered in different ways, layered in contrasting movement, or fragmented. Merce Cunningham: The pioneer of chance operation as a choreographic device, Cunningham created methods such as rolling dice to determine the order of movement, order of works within a concert, and other production elements. Explore the range Romantic, Classical, and Neo-Classical ballet to discuss structuring story and structuring movement. Martha Graham offers great examples of how to structure these principles as well as movement for solos or large groups. Does the piece need music or could it be danced to text, silence, or unconventional sound? Merce Cunningham: search out his collaborations with John Cage or the use of dueling stories in How to Pass, Kick, Fall, and Run. Pearl Primus, a modern dance choreographer and anthropologist: Primus created Strange Fruit, set to the poem of the same title by Lewis Allen. This is also a nice example of how dance can be used to discuss other subjects such as the African-American experience within American culture. 6. and 7. Choosing alternate methods for coaching ideas and movement within rehearsal. Find the unison in intent rather than (just) the unison of performance. Watch choreographers rehearse their dancers in A Lifetime of Dance about Merce Cunningham and Dancemaker, about Paul Taylor. Check out Daniel Nagrin‘s book, The Six Questions: Acting Technique for Dance Performance . What kind of showing is best? How important are costumes? Lights? Merce Cunningham and collaborators believed dance, music, and set design should co-exist in space and time rather than depend upon one another. Explore choreographers such as Anna Halperin, Doug Varone, and Liz Lerman and their use of site-specific dance. Google site specific dance for a long list of artists (and video samples of their work) creating this way both in the past and in the present. Although site-specific dance does not necessarily mean outside, here is article that offers valuable information on non-traditional performance spaces. 8. and 9. Choosing your value system and Choosing your method for reflection. What determines good v. bad? How do you measure the success of the process as well as the success of the work? Consider re-evaluating how you talk about choreography. Some interesting reads on this are by Larry Lavender (Dancers Talking Dance ) and Liz Lerman (Critical Response Process: A Useful Method for Getting Feedback On Anything You Make from Dance to Dessert ). The artists listed here are a mere sampling of a larger pool of artists that relate easily to any and all of these segments of the creative process. Many of the artists listed are established modern dance choreographers, however, there are a great many choreographers from ballet and jazz worlds also working within the concert dance philosophy and developing interesting creative processes, too. In developing lesson plans, realize how important it is for students to SEE dance and include opportunities to do this. The newly available Jacob’s Pillow Interactive, dance company websites, clips from Youtube, PBS broadcasts available for purchase, or materials available through your library should make much easier than even a few years ago. Here are some additional ideas for teaching the History and Evolution of Dance, and for leading students through the process of making their own dances. How do you explore dance history in your classes? What recommendations for source material would you add to those above?